Each version of the iPhone brings something different to the table. New looks, new apps, new gadgets and new features are to be expected whether you’re upgrading to a new iPhone or just updating the operating system. But what about security? Oftentimes the most overlooked aspect of upgrading is the improvement against different forms of hacking, identity theft, malware and anything else that might threaten the peace of your daily operations. At the same time, not all updates are good. We’ll look at a few changes that Apple has made to the iPhone and iOS over the last few generations to see just how things stack up. While not all changes are always obvious or exciting, they definitely make a difference. One of the most obvious changes over the last few versions of iOS and between Apple products in general is how the lock screen is handled. Traditionally, the lock screen was either passed with a four-digit PIN or had no security at all. That changed when the iPhone 5S was released. Touch ID became a standard for all Apple devices from that point on. Of course, Touch ID isn’t perfect; fingerprints have been spoofed in the past and are also vulnerable to physical coercion (via forcing the person to unlock the device with his or her finger). It also suffers from wear and tear if the thumbprint reader breaks. On the other hand, it’s a great system to prevent onlookers from stealing a password simply by seeing it. It’s also unlikely to fall victim to any form of hacking, as an advanced knowledge of biometrics is needed to copy a fingerprint. It’s also a great deterrent for children trying to use devices without parental guidance (and frequently racking up expensive bills). When Apple introduced iOS9, they also changed the maximum allowable numbers for lock screen PINs to six. It became the default option, although users can opt for the original 4-digit PIN if they so desire. Adding just two extra numbers increases device security exponentially. But they didn’t stop there. 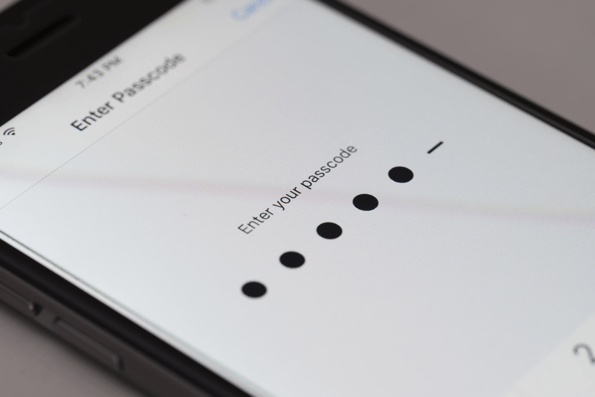 iOS9 also introduced the ability to use a traditional password for the lock screen, effectively extending the number of possible passwords into near infinity. Yet that also comes with certain problems. Most device owners have bad password habits and tend to reuse the same passwords from one service to another. Worse yet, these passwords are often full words, in some cases personally identifying information that can easily be researched via social media or public records. If you think that sounds like nonsense, did you know the most common passwords are still 123456 and password? The problem is real, and it isn’t necessarily Apple or other manufacturers’ fault, but it does highlight a major security issue with the password system. When iOS10 hit the market, it also had plenty of new content to offer. One of the most noticeable changes, aside from the switching from swipe to button press to unlock the screen, was the change to how notifications and widgets display on the lock screen. Since iOS10, it has become possible to read and respond to messages without unlocking the iPhone. Widgets are now more accessible, and tons of personalized information is available to display without ever accessing the rest of the phone. That also means anyone who doesn’t have access to the rest of your device can interfere with things on the lock screen. They can send messages on your behalf, read private updates and generally gather information that wasn’t available before. While the iOS10 update brought many convenient features, it definitely has some security issues. The bright side is that you have the option to turn most of these newer features off if you so choose. One consistent feature you’ll find across all Apple updates is frequently difficult to find. It’s the list of bug fixes and patches to prevent hackers and other criminals from stealing information from you and your phone. As devices and operating systems exist for longer periods of time, people figure out their weaknesses. Updates usually fix these weaknesses; you just don’t usually read about the fixes because Apple focuses on the functional changes. This also highlights a major difference in potential security between older and newer iPhones. Older iPhones eventually lose support for updates and become increasingly vulnerable as a result. This emphasizes the unfortunate importance of eventually upgrading your phone if for no other reason than for protecting your data. Though each new iPhone might have something different to offer, one thing that hasn’t changed is the ability to protect your device with third-party apps. Although Apple does a respectable job keeping their services safe from invasion, they can’t stop everything. Utilizing security services, such as those provided by a Virtual Private Network (VPN) and an anti-virus app, can help extend the life of your device by stopping malware and keeping hackers out of your business. 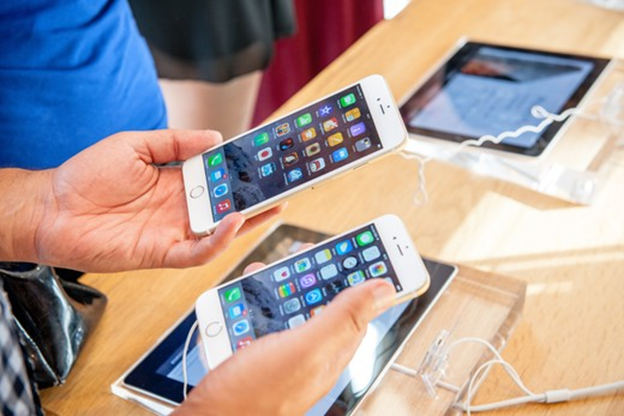 The iPhone comes with native support for VPNs, which have become a standard in internet security because of the number of unsecured connections we visit daily and a VPN’s subsequent ability to correct that problem with encryption. Public WiFi is a major culprit and a popular hangout spot for hackers looking to steal from devices. Anti-viral apps didn’t seem important until recently when it was discovered that the number of Apple products infected by malware was on the rise. 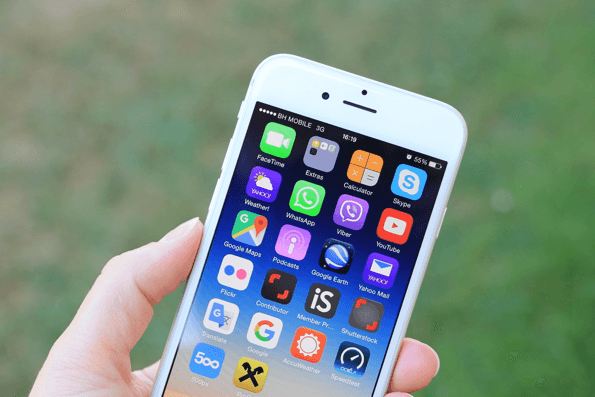 Although the iOS environment is generally pretty good about handling malware, using an anti-virus app can help mitigation extraneous risks. Making good use of the iCloud to back up important data is also virtually unchanged. Apple has taken steps to secure their servers better, but the onus of protecting your login information is still largely on you. You may recall in 2014 when numerous celebrity photos were stolen from the iCloud; the problem wasn’t necessarily Apple’s mistake but rather a scam that convinced a number of famous people to surrender their usernames and passwords. As things go, each iPhone has become a little more secure than the last. While some added features have potentially weakened security, the addition of other upgrades has mostly mitigated those losses. 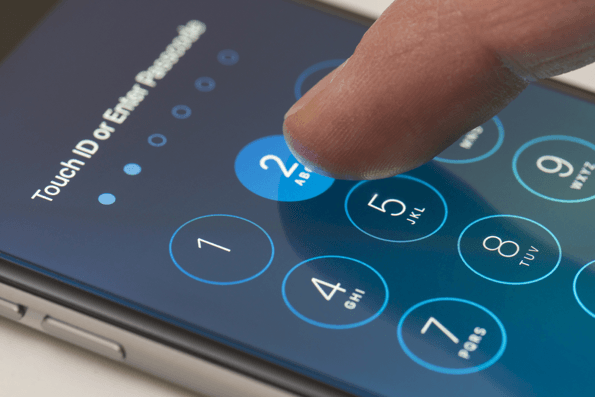 Besides offering better performance and just generally looking better, newer iPhones seem to be doing their job of offering a more secure environment for their owners. If you’re on the fence about upgrading your iPhone’s OS or simply buying a new device, just remember that the differences are certainly there. Are you still holding out on the next iPhone? What about iOS? Tell us how you feel about Apple’s security and upgrading your phone in the comments. Cassie is an internet technologies blogger and overall net safety expert. The online world faces new challenges each day, which gives her plenty of new topics to write about. She hopes that all users give consideration to their safety and privacy online. Guest Bot is a general user which handles all guest posts that are approved and reviewed by the community.